At age 13, Eddie Johnston has already been featured on The Mint Chicks’ young bands page, Jane Yee’s column on Stuff.co.nz and opened for Die! Die! Die! in Wellington. Anyone who has a twitter account and is involved in music has already heard of him and his outspoken passion for Sufjan Stevens. And at his young age, Eddie has done more as a musician than a lot of up-and-coming bands twice his age. 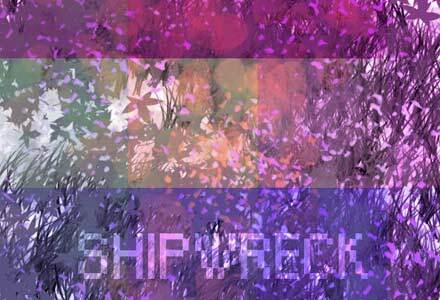 UTR quizzed him about some of these things and his newest shoegazey project, Shipwreck. I guess getting my first guitar really boosted my interest in music. Up until then I was just a usual kid listening to top 40 music! What other bands/projects have you been involved in? Not many, really. For a while I was in State Of The Sleepy with Steven Marr. I don’t think either of us look back on it as a good thing. But we were on the online NZ music compilation Ruban from The Mint Chicks made! Where do you want to be with music in 10 years’ time? Doing the same thing but with more fans? nah, I’d like to be in a really cool band. It’s a bit difficult to do that at my age though, as there aren’t many great musicians or kids who share the same taste in music. Do you often get discriminated and overlooked because of your age? Any plans to release something? I’ve already ‘released’ an EP with Papaiti Records. It was only two songs though. I’d like to do a few more small EPs like that. Maybe with some covers. I like covers. Probably Wilco at the Wellington Town Hall earlier this year. It was magical. They played for nearly 3 hours! Best or most memorable gig you have played? That Die! Die! Die! show – how’d you score that? I’d been emailing Blink a bit about various things and he just asked me whether I’d like to play at their all ages show in Wellington. Why wouldn’t I? And how was the gig? If you could share the stage with anyone who would it be? Uh, I reckon it’d be fun to be in Sufjan Stevens’ band. Most overrated band at the moment? Most underrated band at the moment? The future of Shipwreck is…? More shows, more songs and more Casio's. The state of music in NZ is….? Top 5 albums of 2010?